While flipping through GQ magazine I saw a picture of a model holding an umbrella with a damask background. 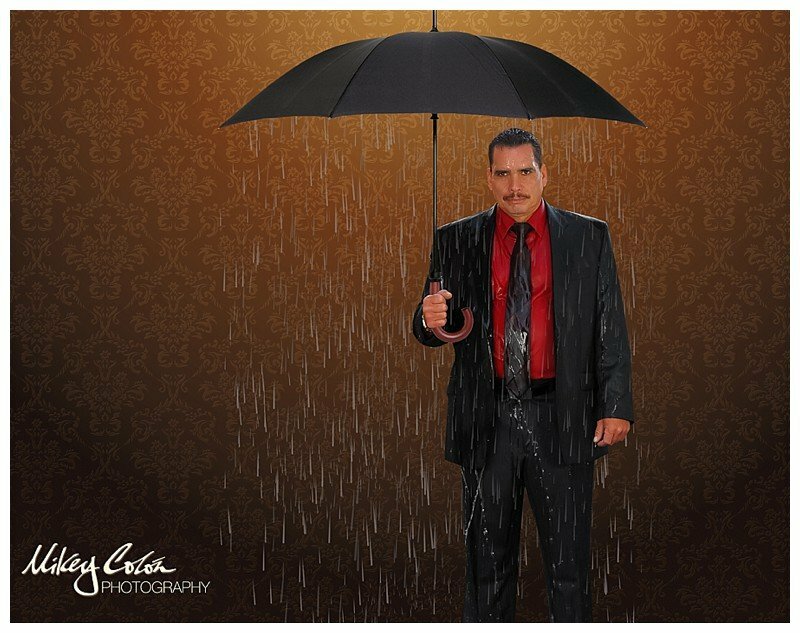 And I thought to myself – that image would look way cooler if he was holding the umbrella and it was raining – on the inside. This was how this image was born!